SEO Service Provider offers various kind of link building services like Forum Posting, Web Directory Submission, Article Submission, Blog Posting/Commenting, Social Bookmarking and Social Sharing. Everything we do for you is manual, we will not use any software to increase your inbound links automatically. 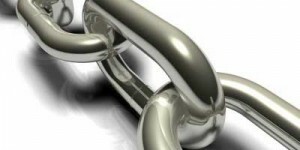 We guarantee you that none of your inbound links will be from bad neighborhood or spam sites. We will deliver you complete inbound list at the end of the month or at the end of our project. Do they become adult in seven days or in one year? Believe it or not if they can’t grow adult in one year then they should not expect that a bunch of keywords will be on the top of Google right after launching a new website. It’s simply not possible. If you are looking for very quick results for your new website or you want to earn money from your website just after you hosted it then this place is not for you. You need automated service, not manual. One’s website can’t get 1000+ inbound links in just 3 days all of a sudden. Google knows it very well and so are we.